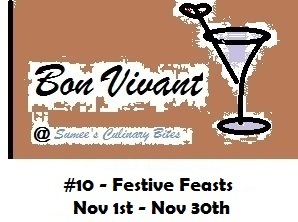 The festival of Diwali entails frenzied cleaning up of the house. Every cupboard cleaned and arranged, old clothes removed to be given away, unused things thrown away and the otherwise unattended nooks and corners cleaned and dusted and clutter removed. A sense of great peace descends in the clean surroundings and we feel happy and energetic. Cleaning is an important activity and an endless process both, outside and inside. We need to dust away our negativities from time to time, remove the cobwebs of wrong habits, fears, greed and lethargy. Until we clean the clutter and chaos inside us, we will not be able to think and act with a clear conscience. Spiritual growth takes place only when the conscience is clean. As always, we seldom buy sweets from the market. This Diwali, I made peanut burfi. This is my mother’s recipe. Very easy to make and great in taste. It has a good shelf life too. Basking in the Sun...................a snapshot of garden lizard. Roast the peanuts on a very low flame. Keep stirring while roasting. The peanuts should start crackling and turn brownish. Turn off the gas. Let them get cold. Now remove the skins by rubbing between palms. Discard the skins. Powder the nuts in the grinder. The powder can be coarse to fine but make sure that it does not turn into a paste. Measure one cup of the powder. Prepare syrup by mixing water and sugar and bringing it to a boil. Let it boil till syrup is of one string consistency. Turn off the gas. Mix powdered peanuts and syrup ensuring here there are no lumps. Spread on a greased plate evenly with the help of butter paper. 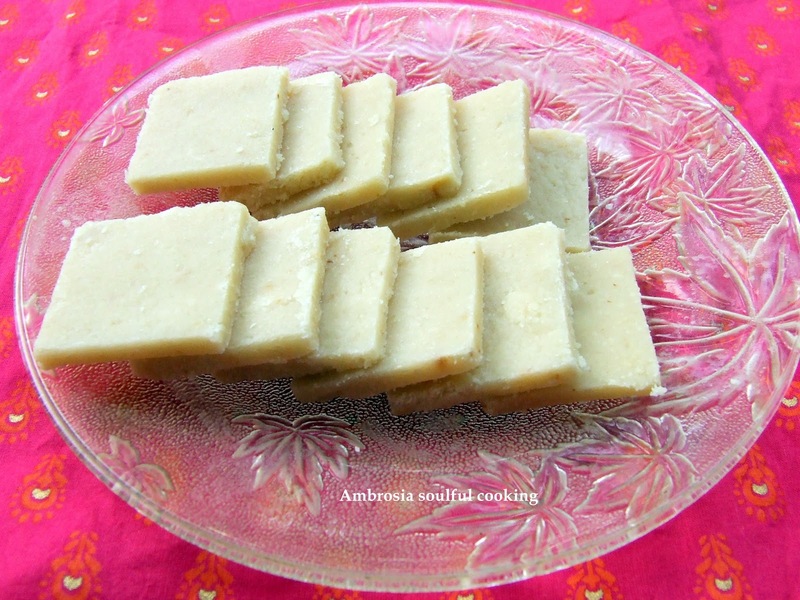 Slice the burfi when it has set well and has turned cold. Store in an air tight container. My Notes: The sugar syrup has to be of one string consistency otherwise the burfi does not set well. However, if the syrup consistency goes wrong and the burfi does not set well, put it back in the wok and cook till it starts leaving the edges and starts collecting in the center. If the syrup becomes too thick, you can add more water to get the right consistency. 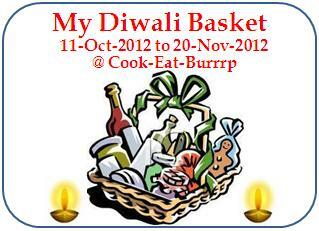 Sending this recipe to Pallavi's "MY DIWALI BASKET"
If you liked this recipe and tried it, do let me know. I would love to hear from you. 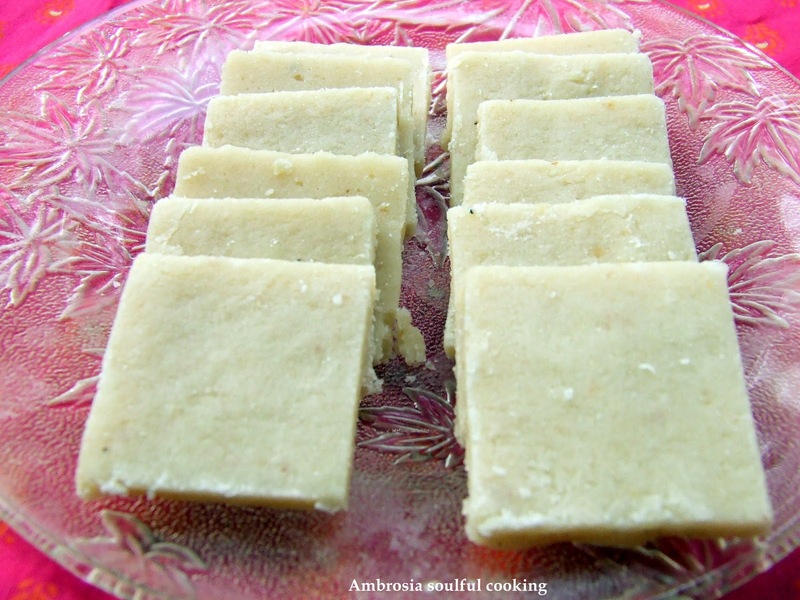 Peanut burfi looks delicious. Very niece recipe . This is swathi of Zesty South Indian Kitchen.